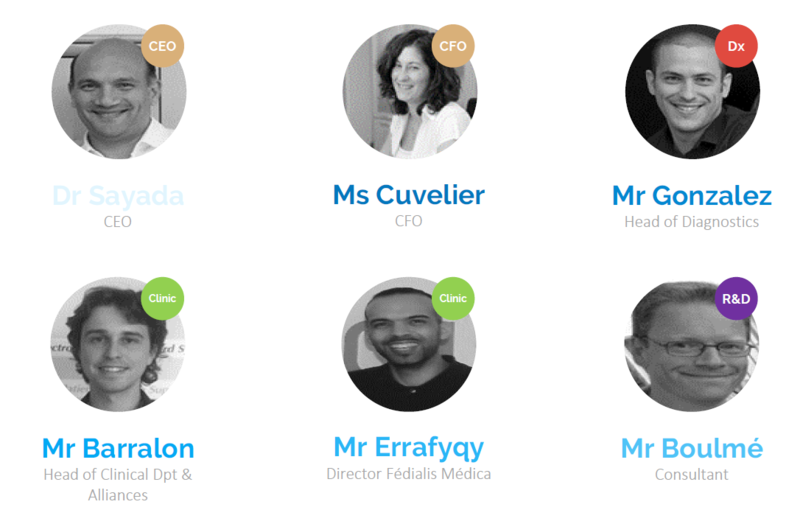 Advanced Biological Laboratories (ABL), S.A., is a Medical Data Technology company founded in 2000 as a spin-off from CRP-Santé Luxembourg. 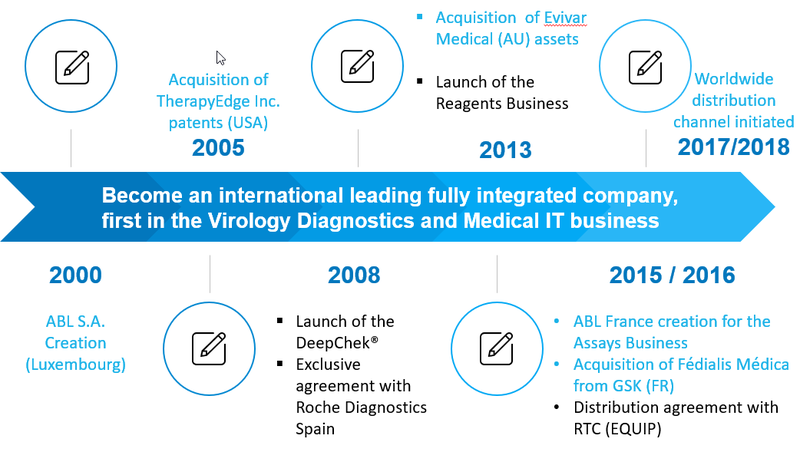 ABL acquired all the patents and IP rights from TherapyEdge, Inc. in 2005 and in 2013 acquired the rights to all viral hepatitis B & C related assets from EVIVAR MEDICAL, respectively. 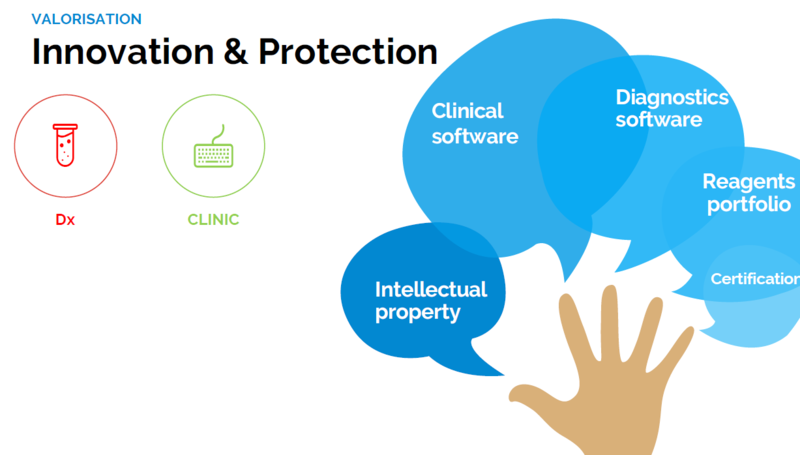 ABL has a comprehensive suite of healthcare management products, including TherapyEdge®, ViroScore®, SeqHepB, DeepChek®, VisibleChek®, HepatiC™ and the DPM which are used for data and patient management, monitoring and personalized reporting applications. 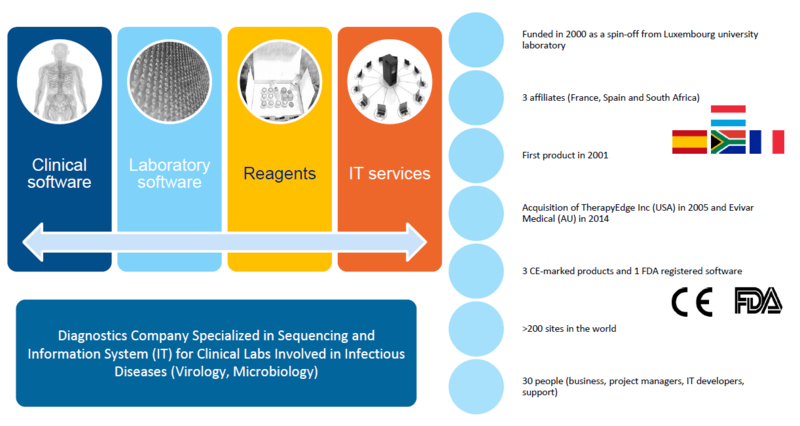 In 2012, some of ABL’s products also received CE-marking for IVD use.ABL’s products offer infectious disease clinicians and virology laboratories optimal and efficient IT solutions for sequencing, clinical genotyping and drug resistance analysis, including powerful fully integrated databases and analysis systems that combine standard and high-throughput Next Generation Sequencing data. ABL’s DeepChek® SingleRound HIV and Hepatitis C Virus (HCV) Genotyping and Sequencing assays are the first two in its virology reagents portfolio. These are currently available for Research Use Only.